Clash against Laune Rangers has been rescheduled for tomorrow. AUSTIN STACKS’ MUCH-ANTICIPATED Kerry senior football relegation play-off against Laune Rangers has fallen foul of the weather. The match was scheduled to start at 1.45pm today in Dr Crokes’ Lewis Road, Killarney but has been postponed until tomorrow (1.30) after the pitch was deemed unplayable following heavy rainfall. 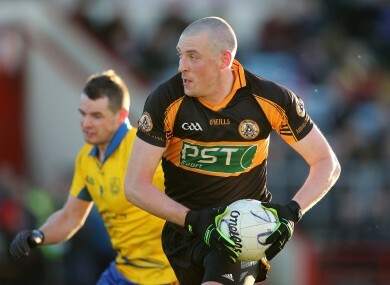 Austin Stacks, the home of Kieran Donaghy, are on the cusp of relegation despite being year’s county and Munster champions. Email “Unplayable pitch sees Austin Stacks' relegation play-off postponed”. Feedback on “Unplayable pitch sees Austin Stacks' relegation play-off postponed”.